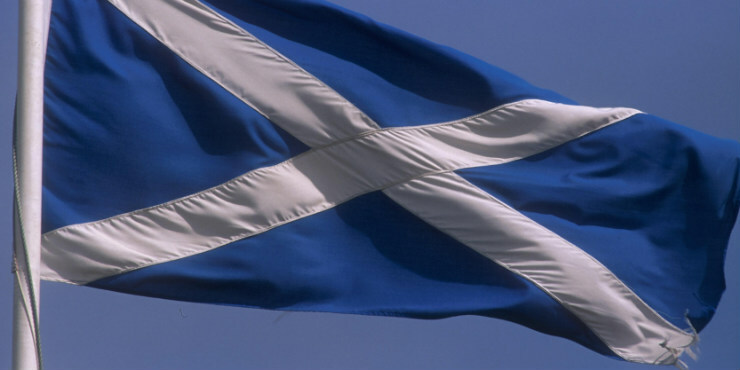 Scotland is facing an independence referendum in about 23 days. And at present the news reports a 48% favorable headcount. There are any number of implications to Scottish independence having to do with defense matters and currency, but the driving force behind the movement is from my perspective, surprising, as it is driven seemingly by the politically left-wing. A glance at The Guardian’s article on divided families shows some very interesting opinions by those in favor of independence. Apparently a significant number of supporters want national sovereignty, or independence, for the purpose of enhancing an already substantial Scottish welfare state. This leaning is confirmed by a look at the Scottish National Party web site. In addition, and speaking of voting away your freedom in the name of a worry free existence, there seem to be numerous questions which would have to be resolved only after independence is declared. Sort of like ObamaCare: you know, you have to vote for it before you can find out what’s in it. Anyway, here are a couple of pro-independence voices recorded by The Guardian. Remarkably, they do seem to channel Ms Pelosi in a number of ways. So, the previously politically uninformed and disengaged Ms Wylie says that the taxing power is going to go up anyway, and she likes free government stuff, and [elsewhere] that she trusts the Nationalists to properly spend the money they take in. I never used to be very interested in politics, as I thought that most of our politicians were just in it for themselves. Then, when I began to study social work, I began to see the negative impact of London’s policies on very many poor and vulnerable people. Like Caroline then, Clare had also been uninformed and politically disengaged. But since then, she has discovered through her government job, that she likes and that people are deserving of free things. There is at present she says, just too much London driven Classical Liberalism going on. And like Caroline again, she is certain that once Independence is achieved and the tides of English influence recede from Scotland’s shores, Scots will finally have the freedom they need to be less free and more sharing; as corruption disappears and compulsory wealth redistribution blooms. Now, for those of us who have been reading about the dwindling away of Scotland’s population and the ratio of pensioners to workers, we wonder just how do Clare and Caroline expect this to happen? Well, my guess is that Clare and Caroline really have no idea at all as to how this is supposed to work, since they have they admit, just begun to take an interest in politics. They cannot after all, be seriously expected to have it completely figured out. Discovering that Classical Liberalism is wasteful, corrupt, inhuman and cruel, and that Independence means compassion and caring and sharing out the wealth, is quite enough for starters. On the other hand, the Scottish National Party has at least some notion as to how they will attempt this multiplication of loaves. They will do it in part, by importing a replacement population, and then dressing them in kilts, or something …. The Scottish Government’s White Paper ‘Scotland’s Future’ lays out our approach. We plan a controlled points-based system to support the migration of skilled workers for the benefit of Scotland’s economy. An independent Scotland will have an inclusive approach to citizenship and a humane approach to asylum seekers and refugees. The Scots are exposed to the same anti-immigrant rhetoric of the right wing press, and Nigel Farage is as ever-present on Scottish TVs as he is south of the Border. In Scotland we have to lump inappropriate Westminster immigration laws, and we are constantly told that they must become even more restrictive to protect us from the various ‘floods’ of ‘foreigners’ who are to erode our way of life. Scotland votes for a Government at Holyrood that couldn’t sound any more different from the UK Tory Government on immigration and we are a better country for that. The difference in how the two Governments see immigration is best demonstrated in their various responses to the annual census of net migration. In Scotland, when we see an increase in our population given our history of depopulation, we celebrate the good news. At Westminster it couldn’t make the politicians more miserable. 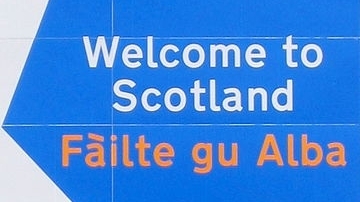 Scots are also becoming increasingly aware of our own population and demographic requirements. Only 20 or so years ago there was a real fear that our population would dip below five million. Although our population is currently growing at a healthy and welcome rate, there is still a realisation that our population levels remain more fragile than south of the Border. We can only properly deal with that if migration policy is decided in the Scottish parliament, not by Westminster. And all will then be well: as Caroline and Clare will henceforth be able to more fully enjoy the comfort and security and caring and sharing which they have so recently discovered they, and all others, are entitled to experience through the miracle of redistributive justice, finally, at last, enabled by “Independence” … of a sort. Well, free to enjoy as long as the imported replacement population allows them to. ” … people on the state pension are not necessarily dependent. It sounds academic, but it is also common sense. Think about friends and family who are on the state pension – are they all ‘dependent’? Even if they are right that more people are reaching retirement age, this does not mean suddenly our population will be unable to produce what a country needs to prosper, or that suddenly our spending on health will increase beyond control. As one of the report’s authors puts it: “Sometimes you hear people saying that 60 is the new 50, and that is absolutely right. The health status of people the life expectancy of 60-year-olds is pretty much the same as it would have been for 50-year-olds 20 or 30 years ago”. Older people are not the burden that the No campaign tells us they are. See! All you have to do is equivocate the word “dependency”, and then celebrate it, and the problem magically goes away through the miracle of subversive redefinition and (more quietly now) …. changed expectations. Ain’t that great? This entry was posted on 2014/08/25 at 13:34	and is filed under Culture, Elections, Liberal, politics, stereotype. You can follow any responses to this entry through the RSS 2.0 feed. Both comments and pings are currently closed.